There are usually two grades of colour available, artist quality and student quality. And, is it worth the cost? When first starting painting lessons it is often overwhelming to try and decide which brush to buy, what canvas to paint on and the biggest choice of all. What paints to buy! Your paints can help greatly in your progress as a painter, what usually happens is a hesitancy on investing in the ‘good quality’ paints until you yourself become a better painter. It should be simple, but sometimes all the information on a paint tube can be confusing. With a few easy tips, you will soon know your phthalo from your quinacridone. Paint pigments can be expensive and vary in cost. Manufacturers group colours into various price bands depending on the amount of the raw material and what the raw material is. The binder (acrylic polymer) is relatively inexpensive in comparison. That is why artist quality paints are split into series.(e.g. Series A, Series B) and others numbers (e.g. Series 1, Series 2). The higher the letter or number, the more expensive the paint. e.g. Cadmium red is an expensive raw material so is series 9 (highest price) whereas burnt umber is relatively inexpensive so is series 1 (cheapest price). It is important to note that in Student quality paints you can only get series 1 and 2. “So, can you not get Cadmium red in student quality paint?” I hear you ask, well you can get Cadmium red hue. When you see “hue” written on a paint tube it means imitation, not a pure Cad red pigment but a combination of cheaper available reds to make a colour very close. So you can imagine it’s never going to have the colour saturation that an artist grade paint will have, however, for pigments that are manufactured to resemble historical colours they can also be called ‘hue. For example, ‘Alizarin Crimson Hue’ from Golden paints is a modern artist grade paint that is trying to replicate historical Alizarin Crimson. Golden have substitued a mix of quinacridone and phthalo modern pigments to substitute a traditional Rose Madder. This is how easily a paint colour covers another paint colour, for example, a black paint will cover a yellow easier than the yellow will cover the black. Pigments vary in their transparency by nature, different paints have difference levels of opacity depending on the paint pigments chemical make up. So a paint made from earth, such as an ochre will be made from crushed up rock, this, of course, is hard to see through! So will make a paint that has pretty good coverage. If you were using a paint that the pigments comes from a dye or is man-made, such as a quinacridone, (called synthetic organics) the thinner and more translucent a paint will be. A rule of thumb is if you can’t pronounce the name it is usually a transparent paint. If it sounds more ‘earthy’ it will be more opaque. Transparent colours are used for glazing and tinting. Opaque colours cover other paints easily and are great for making solid, flat areas of colour and covering up any mistakes you’ve made. On most artist quality paints, there will be a colour swatch of the actual paint on the exterior of the tube. This is really helpful when deciding which paints will suit your needs. Artist grade paints have a larger choice of colours available. 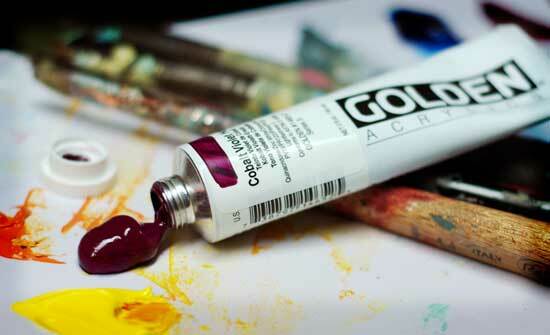 In some ranges of artist quality paints, such as Golden Acrylics, the manufacturer offers a range of different paint consistencies, this is unique to acrylics. Different binders are available in different consistencies so you can have a thick paint or thin paint but the thinnest paint will have as much pigment as the thicker paint. If you want a solid colour to cover your canvas but still want to leave a ‘tooth’ on your canvas, use fluid acrylics. It will give you a deep, rich colour without the diluted, watery effect which you would have if you thinned a thicker paint with water. 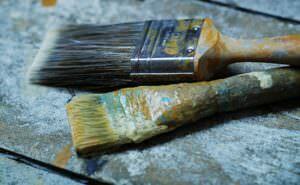 In acrylics the colour of the paint when wet changes when it dries, it goes slightly darker. This is due to the binder (acrylic polymer) that is usually used, being white. The acrylic emulsion is white when wet but becomes clear as it dries. As a result, it darkens. Pro tip: If you like adding mediums to your acrylics to increase drying time be careful of the increased colour shift because acrylic medium is just like adding more binder-more white so the colour shift will be more pronounced. Winsor & Newton artist acrylic use a clear binder and claim no colour shift but I have found there is still a little colour shift, but not as noticeable. In student quality paints a white binder will have been used and often the cheaper you go the greater the colour shift. This refers to how much or how little paint is needed to alter the colour of white paint. So if you used phthalo blue (high tinting strength) you would only need a very little amount of paint to drastically change the white. In comparison to say Terre Verte which has a very low tinting strength. So for bright, colourful abstracts Terre Verte would be the wrong choice, but for toning down a bright pink in your portrait painting palette, Terre Verte would be perfect. The vehicle the pigment is suspended in (e.g. acrylic polymer emulsion for acrylic paint, or gum arabic for watercolour and gouache). Lightfastness or permanence rating – AA and A rated and are recommended as permanent for artists’ use. Series – Manufacturers group colours into various price bands depending on the cost of the raw material. Paint swatch of actual paint– this is great to be able to see the consistency of the pigment. 1. Pigment colour – Often paint colours that are almost exactly the same are called different names depending on the manufacturer. One companies ‘yellow ochre’ is other companies ‘yellow ochre pale’ they also name the colour depending on their brand. Winsor & Newton ‘Winsor blue’ has the same chemical properties as golden ‘phaltho blue green’. Although the pigment chemical names will be the same there will be subtle differences in shade. You can be a paint detective though by understanding the colour index of pigments. 2. Colour Index Number– The label on a tube of paint should tell you what pigment(s) it contains. Many of the more exotic named paint colours are simple a mix of two or more existing colours. Student quality paints don’t tell you this information. So now you know the differences what should you buy? Very helpful in making that tough monetary decision, thanks :). Excellent clarification and explanation, Will. I learned some of this by trial and, unfortunately, error! Drats! I wish I had discovered your site long before this! Glad it helped to explain the difference between the two. Being a new painter, I’ve amassed a large collection of student-grade acrylic paints, mainly for the purpose of just allowing myself to be comfortable with using paints and experimenting with color mixing. Will the finished quality of my paintings be affected (in regards to the longevity) because they were done using student grade? Thanks! PS.. Thanks for all your efforts to share your wisdom and experience with us novices! You have quite a style and ease of communicating this craft you love so much! What an introduction! Welcome along and thank you for your kind words. Will the finished quality of my paintings be affected (in regards to the longevity) because they were done using student grade? No, is the simple answer. The fillers and binders used in Student grade acrylics are lightfast and won’t deteriorate over time. So if you paint that masterpiece, as I’m sure you will, you can be safe in the knowledge that future generations will not have a hefty conservation bill! What do you prefer for amateur painter in choosing paints? Thanks a lot! If you’re first starting I would work with what you can afford, but always try and buy an artist quality titanium white. It has such a better opacity and handling quality and will instantly improve your paintings. I am a big fan of u . I am from India.professionally i am an engineer…..But I love painting very very much. Recently i am working in a realistic portrait, but i have few past experience in acrylic painting…..But i want to do the portrait with acrylic….. Can you give an idea about that? and another think ..which No. of brush is suitable for this job….. Working with acrylics can be a bit of adjustment because they dry so quickly. You can get acrylics called ‘open acrylics’ that stay workable for longer ( there is an article about the pros and cons here) but oils aren’t as scary as they seem! What about painting in a very humid environment (eg a steam room, well maybe not THAT humid) so that the acrylic paint doesn’t dry so quickly? Hi Rod, yes, as acrylic dry by evaporation if you have a space that has a higher humidity level the acrylic will be workable for longer. Nice to hear from you, really pleased you’re finding the site helpful and are enjoying the cherry painting tutorial. May I first say that you are an amazing artist, and a great help to many of us that are beginners or even professionals! I have a question. I’m having trouble deciding which brand of paint to get. You say that Golden is a good brand. Are there any other brands of paint that are just as high quality as Golden? Wow, I have so many questions about painting. I’m afraid if I ask I will be typing all day! Hi Rose, pleased you’ve been enjoying the website. Most artist quality brands have a similar opacity to the paint, M Graham, Winsor & Newton, Old Holland, Liquitex are all really nice brands. It’s on my list in the new year to write a ‘best artist acrylic’ article, but hope this helps for now. I purchased your acrylic color lessons and took to the easel to try the lemons painting. I noticed right away that when you mixed your cad yellow and titanium white you got a much more opaque color than I got. Both of my colors are series 1. Do you think that is the problem? What series were the two colors you used for the vid? Thats if you can remember…LoL! thanks for the lessons! Great info! The difference between Cadmium yellow in artist quality and student quality can be a big jump, this will be the reason why the yellow you are using isn’t as opaque as the one I demonstrate with in the course. Will, when my masterpieces come alive and tangible, I want you to know God used you to help me! Thank you for what you share here on your website. Thank you Will for your expertise and your down to earth tuition. Forgive my stupid question but I am a complete neophyte I really don’t know what I am talking about! Here you go: is there any place for the use of home decorating acrylics (maybe for practicing??). Is it just a question of light / colour fastness or longevity? Hi Ben, I’d say it’s a mix of all 3, The lightness (or opacity of the paint) the colour shift (how much the colour changes when it is wet and then dry) and the longevity of the paint. Household paint doesn’t have the opacity, limited colour shift or archival quality of artist acrylic paint and will be harder to work with than standard paints. You can still of course mix colours and create a painting, but if you intend on working quite small for the difference in initial cost for a few tester pots compared to a paint starter set I’d always advise the artist paints. What is the difference between Artist’s Loft (Michael’s) academic canvas vs the professional, please? Would you recommend I seek other brands of canvas vs Artist’s Loft? Hi Hardy, it is usually depended on canvas weight and feel. The way that different canvases are prepared changes the way that the paint behaves onto them, also the type of painting you want to create. If it’s for a canvas that you might stick to a board, you might go for a thinner one. If you want to stretch it up and put it under tension onto a stretcher bar, you’ll want a thicker one. I haven’t personally used the Michael’s academic canvas so couldn’t say for sure. Fredrix make some nice canvases as do Claessens. These canvases are often in rolls that you can stretch onto stretcher bars. You might find this article of interest. I have always been an aspiring artist but never really had the time for it. I am now a restaurant owner and seemingly have less time but still a deep desire to paint. I am fortunately a right-brained, naturally artistic person and have done a lot of what I call folk art painting using acrylics from bottles. I received a large artist’s set for Christmas which includes oil, acrylic, watercolor, pencils, and chalks. I was excited to start painting but quickly realized when beginning one of your tutorials that my paints have no name. After joining your sight and reading this article I also realize that the paints are 48% acrylic resin, 33% extender and only 14% pigment! Since I have the set I will use them for my beginner process and since the tubes are quite small (12ml) will probably use a whole tube for one painting! Had I not read this article I probably, as a novice, would have been more price conscious than quality conscious. I am set to begin your apple painting but I wanted to take the time the thank you for such detailed and insightful articles. Of all the many sights I have searched and read over the past few months this is by far the most valuable learning sight! Bless you for sharing your knowledge! Lovely to hear from you and so pleased you’ve found the article of interest. The varying percentages and opacity of acrylic paints can really vary depending on brand/cost. I would start with an artist quality titanium white and then you can build your palette from there. I’m looking to get started painting as a hobby just for my own personal enjoyment, nothing fancy, and am researching what paints to buy for my starter set. I’m looking to balance quality and price. Are there some colors that you recommend investing in the artist quality (i.e. Titanium White) and others that I could get away with buying a student quality or hue version? Any advice you could offer would be appreciated and thanks for sharing your knowledge on such an awesome site! Hi Courtney, I would always invest in an artist quality Titanium white, and you’ll notice the biggest difference between the yellows, an artist quality cadmium yellow light will be much more opaque. Here is a starter palette I often recommend. Cheers Chuck, you really knew a ‘who’s who’ of the art industry, thanks for your kind words, much appreciated. Is it true that anything that has “hue” after it is student? First, I want to tell you Bravo for all those info you are sharing. Very helpful. Thank you. I have one question: I work with acrylics, I paint realism/photorealism and so far, I am working with Amsterdam Standard acrylics (student grade), because where I live (Macedonia), this is the best you can get. Now I want to switch to Artist acrylics and I am thinking between Golden or Windsor. The question is: is there a huge difference in quality or is just the question of taste of the artist? Thanks Toni, pleased you’ve been finding the tutorials helpful, there isn’t a huge difference in quality, the Golden has a slightly thicker body to it and I find the titanium white to be a little more opaque, but I also use Windsor & Newton Artist range throughout my work. I am writing an Extended Essay in Visual Art, and one of the topics is Material. I have tried Looking up for the difference in artist and student material for a while and finally came across your article. It is so Helpful thanks a ton. I just wanted to know the names of some of the most expensive acrylic or oil paints and some of the cheapest acrylic paints. Hi Pratyush, some of the most expensive pigments are Cadmiums, and the least expensive are earth colours, classically ultramarine blue was very expensive with Lapis Lazuli being ground into a powder to make into paint. It was often reserved for painting the main figure. Thank you for your videos and all your extensive instruction on the basics for the relatively new painter. All those things you have to try to guess on if no one ever takes the time to explain. SO THANKS!! anyway, I love to paint lots of layers, “Chippy paint” style. Mostly with a pallet knife. Think of old chipped wood and rusted metal style. So I was wondering what is the best mediums to get all the texture, also, is it find to use the cheaper paints underneath then just golden on top? Thanks again. Hi Katie, pleased you’ve been finding the lessons helpful, if you use a regular gel its about the same consistency and standard heavy body paints, so if you want a bit stiffer texture then i would go for the heavy gel. You can watch a video demonstration on the differences between gels and mediums here. Hello Will. I am 75 and have over a number dabbled with both acrylic and watercolour. I am proficient in neither, i am keen to learn from the basics and thankfully your excellent web site will enable me to do just that. I am looking forward to moving forward with my hobby and am sure that your tuition will help me in my endeavours. Many thanks. Tony. Hi Tony, great to hear from you and really pleased you’ve been finding the site helpful in developing your painting skills. Hope you enjoy the articles and tutorials. Thank you for being such a resource! I’ve just started out using acrylics, and have run across 2 60ml tubes of artist quality (W&N) paint which seem to have separated in the tube. Is there a remedy for this? Should I even try? Is this considered a defect? Hi J, yes this can sometimes happen, you can just squeeze out the paint with the medium and mix them well together and it will be fine. It will often just be a small amount of excess liquid and then the rest of the tube will be as normal. I use acrylic colors and I have been painting a lot. I just finished painting a bunch of roses using golden and Liquitex colors. I love my painting but when it dried it looked chalky, dry, dehydrated. I added a little glazing medium on top so it shines and deepen the colors a bit. It looks much better. Do you think I did the right thing? Or should I use the glazing medium or another medium while I am painting to make them look more moist appearance?… And not have a gloss finish? Hi Nada, usually if I want to bring the lustre up in an acrylic painting I would add the sheen in the varnish stage of the painting. This helps to unify the sheen, saturate the colours and give you a slight sheen. To have a sheen without a gloss finish I would use a satin varnish. Thanks for the great info. I’m just starting with acrylic paint and man at art store said it’s okay to use some Golden heavy body and Holbein together in painting, mixing and everything. What’s your opinion? Can brands be mixed and matched and still “play fair” in the sandbox (or on the canvas)? Hi Linda, yes you can intermix brands together, there will be slight variations in the consistencies and handling properties of the paints but they can be mixed together fine. I am a grandmother just starting painting for the first time in my life. Your website has been invaluable to someone for whom painting is a complete mystery. I love the way I can start with only a few good acrylic colours. Baby steps!! While Paul Klee is my idol I am enjoying the feeling that I am actually putting paint on a canvas. Am encouraging my grandchildren to draw and paint while they still love the process. Hi Heather, so pleased the website has been of help to unravelling the world of painting! Good luck with the paintings with your Grandchildren. I’m having trouble getting glaze to work. I haven’t found an acrylic medium that is milky like the ones you are using. The one I found is pretty transparent and it makes the paint more watery. Another issue is the paint seems to let super small grains like sand. Could this be the quality of the paint? I’m not sure it’s artist quality or student. Do you use hair dryer to speed up the dry process? Hi Alan, the super small grains will be due to the paint quality, in artist quality paints there shouldn’t be any noticable grains when working in thin layers of colour. The glazing medium I use also alters the consistency, trying to create a thinner layer. You can get mediums that are transparent that use a transparent acrylic binder but you shouldn’t need a hair dryer to speed up the process, it will dry in a matter of minutes, but if you’re working with lots of watery layers then it would speed up the drying. I guess I have found out what the issue is! Hopefully I read an article from you that talks about how to prime a canvas with gesso. The section “Pre-primed canvas boards” was crucial it says exactly the problem I’m having! I should say I was really disappointed trying to experiment with glazing as it seemed I was just pushing the watery paint on an waterproof surface. So frustrating. I have put a coated of gesso and I’ll give more coats. So you recomend 3 coats? (1st with a bit of water, 2nd thin with no water and 3rd would be thicker? I paint abstract paintings and plan to make those kind of shadows in the objects and some areas using paynes grey creating nice shadows that fade creating a kind of gradient effect and then build new layers of transparent colors that will create depth and create areas for the colors. Would you have any suggestions and tips on this? It all depends on the absorbency of the surface you’re painting onto, the adhesion of acrylics/gesso is more to do with the absorbency of the surface rather than the water ratio mixed with the paint. If you had a shiny surface of a canvas board and very diluted heavy body paint with water you would have the paint beading rather than staying in one paint film, for this scenario you would include a few drops of ‘flow release medium’ to give the paint a better dispersion or use a thinner medium mixed with the paint, the flow release medium reduces the surface tension, this video shows the difference on a raw canvas surface. when mixed with water and mixed with flow release. I’m planning to give 3 layers of gesso and wondering if it would be good to sand the canvas after that to have an even surface. And for shadow I guess l need to load the brush with little paint so the shadow fades faster and does not cover an area bigger than the necessary right? Cleaning the brush or using a new brush would help avoiding the shadow to extend longer creating a nice fade? Hi Alan, yes you can have a very light sand to even any slight bobbles, classically you would paint shadows thin and then have thicker impasto paint for the lights. I was wondering if Grumbacher Academy paints were comparable to Winsor Newton Galeria paints? And should I plant to upgrade to Liquitex or Golden at some point or are the Grumbacher and Winsor Newton paints high enough quality to achieve lasting results? Hi Ryan, student grade paints will still have long lasting results, the main difference is the ratio of pigment in the paint and as such the increase in colour shift. I would try and invest in an artist quality titanium white and then try a couple of brnads to see which you prefer. Hi Nagasatish, pleased you’ve been enjoying the website, Winsor & Newton are a great brand and one of the brands that I use in my professional work so a great brand to work with. Hi Nontas, the lightfastness is usually more to do with the actual pigments used in the paints. Most companies have a list of the lightfast rating of each of the tubes of paint they manufacture. Here is a Liquitex basic sheet that has the lightfastness rating next to each pigment: I’m not sure about the Artist Loft Acrylics, I haven’t personally used them. Certainly very interesting, learnt a lot, I have been a bit of a paint snob in the past, but now I am working on larger painting and abstracts, I have been looking at cheaper paints. I have to say the standard has improved, mixing the two working well for me. Ultimately it comes down to the painter. My granddad never had the money for real paints and used cheap household paints for his early works. Still holding up well and it just shows you even on a limited budget, the only limitation is your ability and imagination. Pleased you found the article helpful Sarah. Hi will, thanks for this. You use the example of grading paints numerically, but in what context might you see the alphabetic grading? Does it depend on manufacturer, type of paint…? Hi Alec, you might see an alphabetical grading (I can’t think of a brand that uses it off the top of my head) but again this would change depending on the price range of the pigments used. Thanks Will. So, is it pretty rare to see alphabetical grading? I’m not even a beginner, really, but there is something I’d like to do and I think you have helped to persuade me to maybe practice with cheaper paints and then do the final piece with artist grade paints. Hi Alec, if working with acrylics I’d always invest in a quality titanium white, this will be used in most of your mixes and give you much better covering power, have a look at this article between the differences: How to choose the right white. Hi Chris, cheaper pastels tend to be a bit harder than artist pastels (even if they’re called soft pastels) and not as intensely saturated. My pleasure Nancy, pleased it helped. Hi Linda, the paint manufacturer would be best to advise on this particular product, but Liquitex usually have a good soft consistency straight from the tube. You might find that you prefer more fluid paints and there are other brands that make fluid colours that are already in a pourable consistency. Good for watercolour and thin applications but don’t work as well if you’re trying to create thick impasto works. I have learnt more in 30 minutes reading your website than I did in my two year a level course. Any idea of the combination of paint I need to use to create cells in the pouring technique? Thank you. Hi Alison, pleased you’ve been enjoying the articles, when you say ‘to create cells’ what specifically are you trying to create? Hi, thanks for your reply. I’m trying to get cells in the pouring technique using acrylics. A bit like those produced by Kerry Darlington in a lot of her tree paintings. Kerry Darlington uses resin in her paintings so it holds its form and clear quality. Liquitex pouring medium will give you a good resin like sheen but won’t hold a dome shape as well. thanks for your help. Will try that. 1) Is series 1 acrylic paint more of a student or a professional grade than a series with a higher number? Same question for the alphabetical series – e.g., A vs. B? 2) Do these numbers also correspond with the grade of canvas? All I’ve seen so far is the number value – level I or II – but no other information that would indicate the quality, such as the weight, type of fabric, gesso, tightness of the stretching, etc. 3) Same question for brushes – which series numbers are the more professional vs. the student grades? Can you share any other info about brushes, such as the type of hair that’s best for acrylics? I’ve seen brushes that claim to be good for both oils and acrylics, and others which are supposedly best for just one medium. 4) For pre-stretched, pre-primed canvases from Michaels and Aaron Brothers, do you know which is the better quality? The brands are “Artists Loft” vs. “The Art District”. In closing, I can’t thank you enough for your free you tube videos. I’ve learned a LOT from your videos and from your site, and I love your tone – always happy, informal, and the just the right amount of detail in your instructions! Hi Jan, nice to hear from you and pleased you’ve been enjoying the site. No, the series is for the price of the paint within either a student or artist range of paints. Hello Mr. Kemp, I find it so very wonderful to be learning from the ground up from as great an artist as yourself. You share your knowledge so freely it takes all the stress out of learning to paint. How nice it is to be able to have the confidence to move forward in this area of the arts. I truly do thank you for all your help and passing on your knowledge to those of us who need it and will use it. Thank you again for all you share with your adoring students. That’s very kind of you to say so Darlene, so please you’ve been enjoying the articles and lessons. I use it in conjunction with my spreadsheet for keeping track of the various acrylic paints that I have. Also, I love your site. It’s a great resource and provides much appreciated motivation! Hey Jim, good to hear from you, yes David has some excellent detailed resources on pigments, pleased you’ve been finding the site useful. Just a note to thank you for keeping me on a list that continues adding and updating answers to my original question. You are awesome! I love your site, and truly appreciate your generosity. You’re more than welcome Jan, pleased you’ve been finding it helpful. 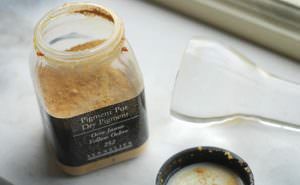 Would you be able to tell me why the cheaper pigments – i.e. Series 1 artist quality are not the same price as the student. If the “real” pigments are being used for these student paints, why aren’t they the same? Thank you for making all this so clear and helpful. Hi Jo, because of the relative amount of pigment and fillers in the paint tubes and the cost of the raw ingredients to make the paint. So a 60ml student grade titanium white might be £2.50 and contain pigment, binder and filler whereas a 60ml artist quality titanium white (series 1) might be £5.50 and contains pigment and binder. The higher ratio of pigments costs more than the added filler, but you would have less colour shift and more opacity and coverage with the paint due to the higher pigment load. Thank you so much for a very helpful article. Hi Tracey, it’s confusing isn’t it! When you see “hue” written on a paint tube it means imitation, so it could be a combination of cheaper available reds to make a colour very close for a student range brand or for modern pigments that are manufactured to resemble historical colours they can also be called ‘hue. For example, ‘Alizarin Crimson Hue’ from Golden paints is a modern artist grade paint that is trying to replicate historical Alizarin Crimson. 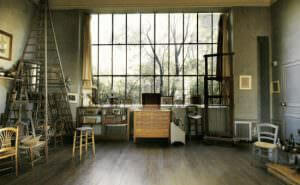 Golden have substitued a mix of quinacridone and phthalo modern pigments to substitute a traditional Rose Madder. I think you provide all kinds of helpful information, and I really appreciate all the free information, including videos. However, I’m going to say a couple of things that don’t agree with everything you’ve said here. I’ve purchased a lot of Golden paints, and they are nice. However, I also happen to very much like my Grumbacher Academy acrylics. So, I don’t feel bad at all that I have some student grade paints. I enjoy the freedom they give me to experiment and learn without feeling like I have to spend a lot of money. I don’t care if those paintings last because I’m probably going to paint over them. And I don’t feel as though they are holding me back. I certainly use my Golden paints, but I also use my student grade paints with plenty of success. Hi Anne, pleased you’ve been enjoying the website. I also have great success with student grade paints as well, it’s just you’ll tend to find better coverage and less colour shift with artist quality paints and the difference between hobby grade and artist quality can by quite a bit. If you’re experimenting and working larger scale they can be fantastic. Tying to use up old oil professional grade paint tubes….bout 25 years old…did a knife paintings and it is taking a very long time to dry….did one last week with student grade paint and it dried in a week to touch…does it take old paint longer to dry…wondering if I should just order some student grade to do some pallet knife paintings? Thank you. Hi Joan, I would suggest trying some Alykd oil paints, these have quick drying medium added so will dry in half the time of standard oils, you can also mix in a medium such as Oleopasto from Winsor and Newton to add body and speed the drying when painting thikcly. Many thanks in advance for all the help u have been rendering.. I like how straight-forward it is in defining a lot of the basics to keep in mind. Also – I noticed that this website mainly is set to teach about about acrylics and oil paints. to do with soft pastels and even side walk art? Hi John, glad you’ve been enjoying the lessons. I’m afraid I don’t know of a soft pastel or sidewalk artist off the top of my head.